Volunteers will teach English/French at a local Vietnamese educational institution, from primary level until tertiary level. 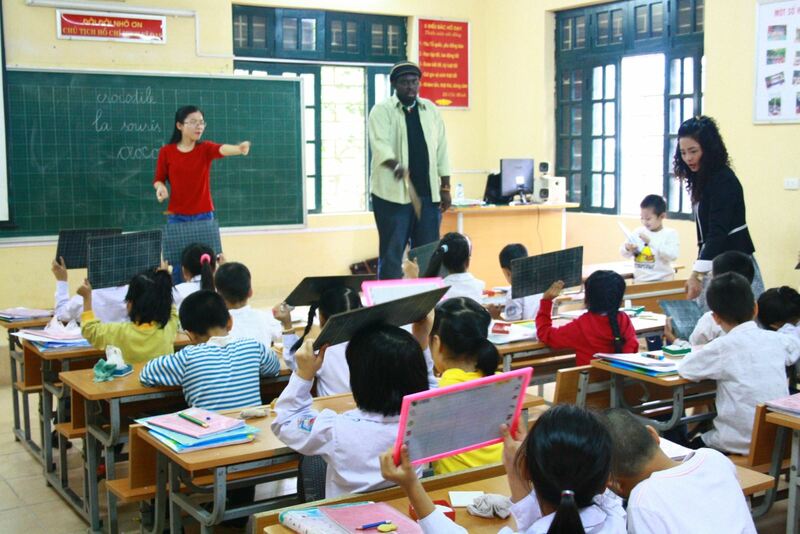 Many Vietnamese schools lack teachers with sufficient English competencies to extend the students’ English beyond basic writing and speaking skills. Volunteers help to improve the children's vocabulary and pronunciation, assist local teachers in managing their classes, organize games and other activities in the classroom, and help to improve the children's listening and speaking skills. Working hours will vary depending on the school where the volunteer is placed and will average around three to six hours per day). Please note, volunteers do not need to be a qualified or experienced teacher to participate in this kind of project; however, in some certain placements, teaching experience is necessary. Besides the normal work at local schools, volunteers are welcome to join communication English/French classes for local children and students that we organize once or twice a year (usually in summer time). In this project, volunteers can learn and develop their teaching experiences through working indepently, making lesson plan and creating their own activities in the class. Although Vietnam has now been at peace for many years, effects from war continue to haunt not only the adult population of this beautiful country but also its children. Volunteers have the opportunity to work in institutions caring for orphan or disabled children and young people affected by Agent Orange or in schools, hospitals and community clinics looking after mentally disabled children. 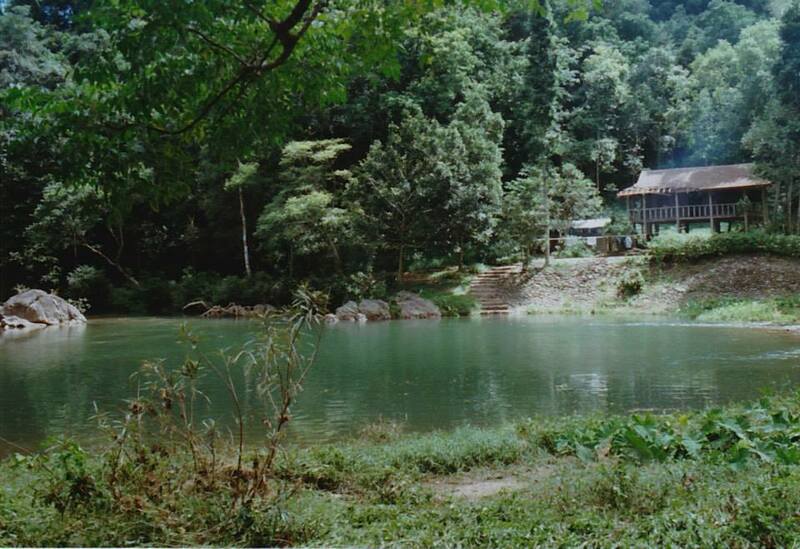 Work is somewhat varied dependent on the institution where the volunteer is placed, however typical examples of jobs and tasks can include assisting local staff in providing rehabilitation exercises and therapist treatments for children, playing with children and entertaining/educating them with games, music, arts and other exercises, helping to develop fundraising initiatives to ensure ongoing funding for these institutions and teaching English to local staff. Actually, what volunteers can do depends very much on volunteers' initiatives, motivations and proactiveness. Different volunteers will make different experiences, even at the same project. Therefore, it is advisable that volunteers should not have too high and fixed expectations of volunteering. Be flexible and openminded, be active and creative, together with a goodwill and a warm heart, you will make the best of your time here. Working with a local NGO/social enterprise can be a rewarding and valuable experience for anyone who would like to appreciate how volunteering projects are organized, managed, and supervised. There are many small, locally-run NGOs (non-governmental organizations) or newly set up social enterprises in Vietnam. They contribute to the cause of development and peace in both urban and rural areas. These organizations, especially local NGOs, being typically new, are often in shortage of funds, human resources and experience. There is thus a need to build up their capacity through different approaches. A motivated and resourceful international volunteer in the office would help improve their communication skills, working competencies, and assist in creating a bridge between local NGOs and new partners worldwide. There are currently placements in local NGOs in the following sectors: public health, community development, sustainable development and natural conservation. Typical work can include: writing proposals and reports, improving staffs’ English language proficiency and communication skills, assisting with fundraising initiatives and networking with international partners. It is worth noting that volunteers’ role might vary depending on the type of organization they will be working with. Also, please note that, in order to do this program, volunteers should stay for a minimum of 8 weeks and must be at least 22 years or older and already have some experience in the field they wish to work. This can either be university studies (a degree is not necessary) or relevant working experience. Volunteers on this program also need to speak English fluently. Additionally, volunteers will need to bring a laptop for work.